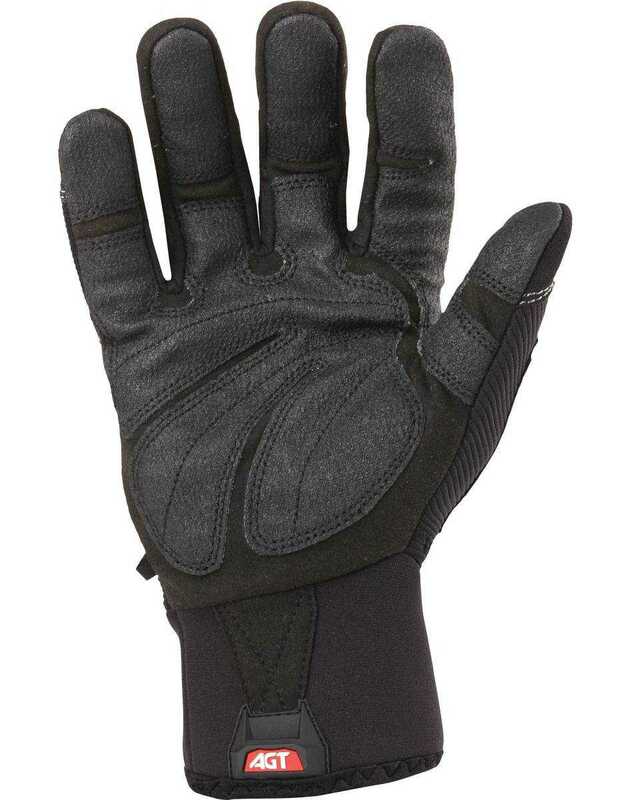 The Cold Condition® work glove is the first glove to offer warmth, comfort and full dexterity. It is windproof and water repellent to keep hands warm and dry. 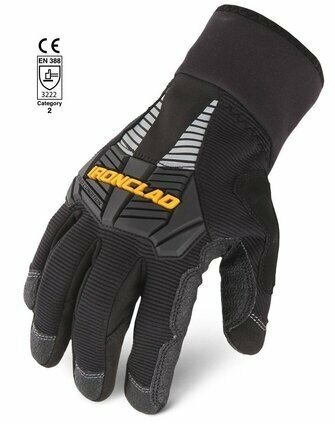 Perfect for any task where precision is needed in cold conditions. Ironclad Cold Condition gloves are ideal for nearly any job performed in a cold environment while handling the most delicate or toughest of tasks. Down to 40 degrees F.
Neoprene wrist closure for secure fit and to keep out the elements. Micro-Fleece Insulation for Warmth & Dexterity. DuPont Teflon Treated Shell & Palm for Oil and Water Repellency. Hipora Membrane for Wind Resistance. Gorilla Grip Reinforcements on Palm for Added Protection and Dexterity. Pull Tab & Glove Loop - Keep Gloves Secured while On or Off.